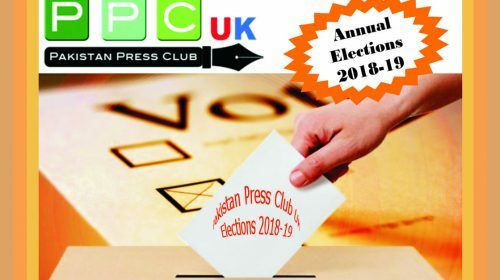 MANCHESTER: Pakistan Press Club UK, a prominent platform for Pakistani media in Britain, has announced date for its annual election for the year 2016-17. 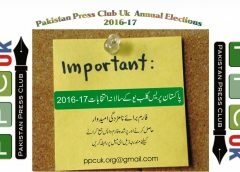 Club President Mobeen Chaudhry announced this after making consultations with members on the occasion of the Annual General Council. 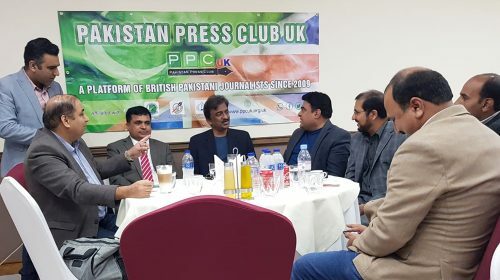 Mubeen Ch said PPC UK and Lahore Press Club will work together and, apart from vote right, they will enjoy all other benefits equally. 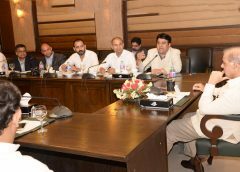 He added that during the visit, the delegation met with Punjab CM Shahbaz Sharif and KP Governor Iqbal Zafar Jhagra in pleasant atmosphere and matters of mutual interest came under discussion. He said Northwest colleagues’ cooperation was unprecedented and to strengthen it further more branches will be established in different cities. 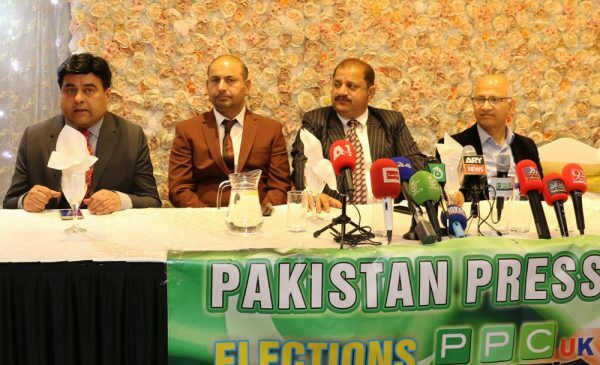 When Mubeen asked the General Council members present on the occasion about a suitable date for elections, they unanimously finalized 1st of October 2016 (Saturday) as polling day. Other necessary details will be communicated to members shortly. 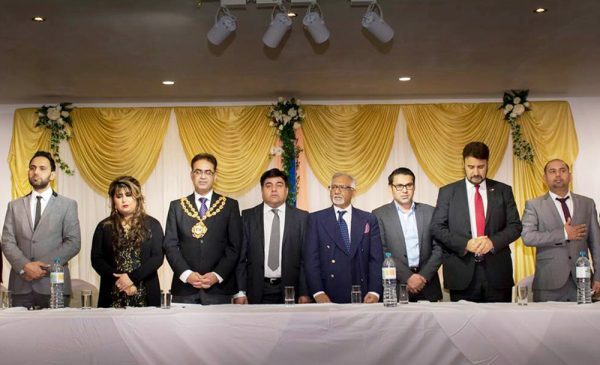 Senior Vice President Arshad Rachyal said PPC UK was active in whole of the UK and its sphere of working will soon be extended to Europe as well. He underlined unity to achieve that purpose. 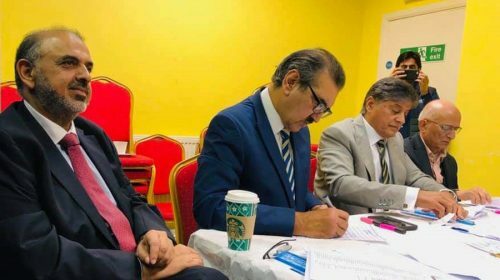 He said after consulting with the president he had contacted BBC and ITV for the training of journalists and soon a workshop will be held in this regard. He offered his services for journalists to learn anything with reference to electronic media. 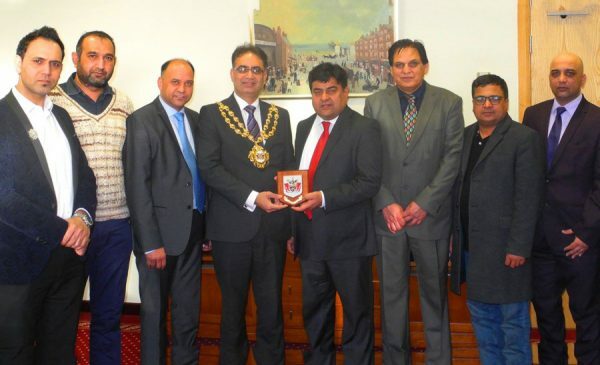 He said he was serving the dear homeland and will play his role to make his community flourish in UK. Press Club’s present president was a journalist, he added. Arshad Rachyal said journalists working regularly will be encouraged. 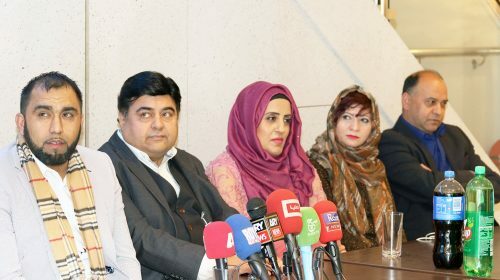 He said prime minister had given approval for (missing) for Kashmiri journalists working in UK. 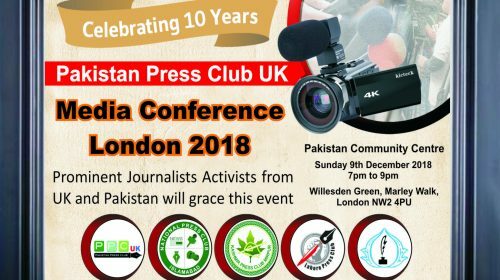 He said it was important that merit, ability, competence and sincerity with Press Club should be kept in mind while electing Club’s office-bearers. “It is our collective responsibility,” he was of the view. 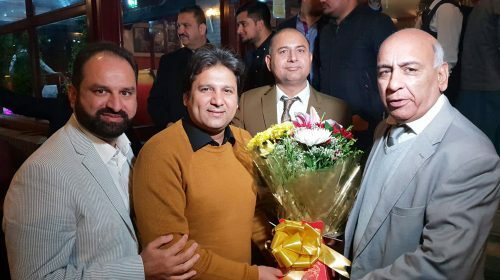 Executive Committee members Shiraz Khan, Naeem Siddiqui, Ishaq Chaudhry, Asif Qureshi and Mussarat Chaudhry said this year Club’s performance was better. It will usher in an era of better facilities for journalists, they added. They said Press Club was like a family for them and all of them had to take it forward. 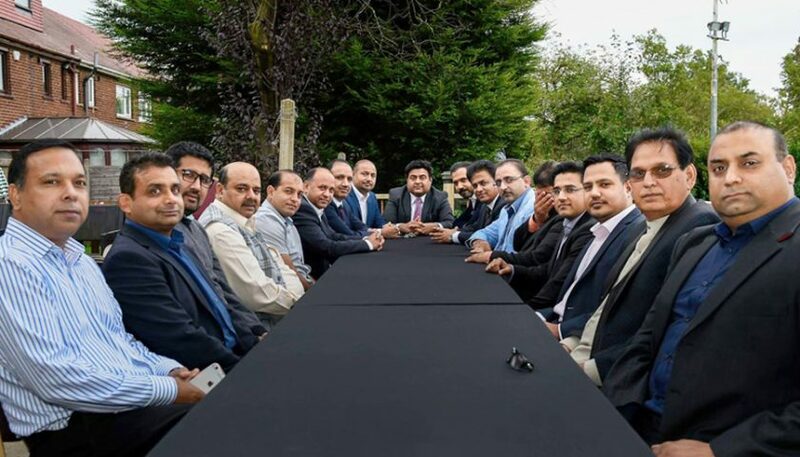 Meeting of the General Council was also attended by Adeel, Ataul Haq, Mustafa Mughal, Nadeem Irshad, President PPC Greater Manchester Majid Nazir, member of the European Parliament Afzal Khan, President Muslim Conference UK Chaudhry Bashir Ahmad, President Pak Sarzameen Party UK Chaudhry Altaf Shahid, senior journalist Saqib Raja, Habib, Raja Naseer Ahmed, Zakir,Imtiaz Akbar and others.